Over the last few hours, this website was hacked by a group announcing themselves as being in or from Iran and having done so "in the name of God". Assuming that in this case they mean Allah, then I am assured by my many Islamic friends that there is no justification in the Koran or, indeed, the Islamic faith for such actions, particularly in respect of a website which presents no offence to Islam, and indeed has no wish to do so - the author of this site recognises and supports the right of all people to worhsip their God and to practise their religion. I am forced, as a result, to assume that these people are simply "normal" website hackers, twisted irrational people who do not conform to the requirements of their, or indeed any religion or moral code. Sadly, if they read this, they will probably try again thus proving the latter point conclusively. Quite simply, I have been keeping amphibians and reptiles since 1949, when I was 3. In that time I have had my failures but also many successes. After all these years I have reached the point where I am acknowledged as something of an expert on the maintenance and captive breeding of many species, especially of the Lacertid (True or Typical Lizard) group. I am using this website to share some of my experiences with others in the hope of encouraging the best possible husbandry of captive animals and, even more importantly, the best possible practises and contributions for their conservation in the wild. I will make no recommendations within this website which have not been practised and found effective by me or similarly competent colleagues, save in a few instances where there is no experience to draw on and I am quoting from, for example, a book. On the subject of books, although there are many good ones, there are many others that simply perpetuate inaccuracies from the books before them. 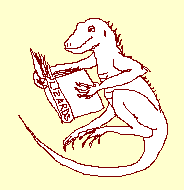 But, however good or bad the book, you can bet that the lizard/frog/terrapin or whatever has not read it and does not feel honour bound to behave as the book says! Come to think of it, they won't read this website either! So, don't just take my word for it, or indeed, anyone else's. Look at techniques used and be prepared to develop from them or even move away from them. Simply ensure that in doing so you watch, and give the highest priority to, the welfare of the animal in doing so. But, enjoyable as keeping and breeding these fascinating animals might be, you will also find a section of this website devoted to conservation - specifically the conservation of our native species all of which are becoming increasingly threatened by a number of factors - not least, humanity! For many people, keeping herps has been their introduction to an active concern for the animals in the wild. I hope, therefore, that those of you who do visit this site, will ensure that the animals you acquire are captive bred or farmed, that you breed them yourselves to reduce pressure on animals in the wild and that you too, will choose to make some direct contribution to their conservation. Should you wish to do the latter then the Amphibian and Reptile Conservation Trust is an organisation which can use your help together with other organisations it supports such as ARG UK and NARRS. For those who share my enthusiasm for the conservation of our reptiles and amphibians, I recommend RAUK at http:/herpetofauna.co.uk. There is a great deal of information regarding the herpetofauna of the UK and a forum filled with like minded people. You can see a feed by clicking here. So, if I haven't put you off, click on the links above and, I hope, enjoy your visit. My website first appeared in the early 90s, which at least confirms that I was in on the ground floor of the internet revolution. In that time, while I have added or amended quite a bit of the content the site is by now looking more than a little outmoded. Shortly after my retirement from the finance industry I worked occasionally as an amphibian and reptile consultant ecologist. I set up a website under this domain name to advertise those services. Sadly, health problems mean that I have had to almost entirely abandon that work, restricting myself only to very small sites in the south of West Sussex. In the meantime, however, I have chosen to dedicate the site to my herpetological interests. So - I have started again and this is the new look web-site. All of the content has been updated and a great deal of fresh content has been added and will continue to be. Some things have been perpetuated from the old site which continued to attract compliments especially on the use of comfortably sized fonts and the opportunity to use the resize option in your browsers. I am now over 60 and I am reaching the point where I am becoming increasingly disgusted with websites with small fixed size fonts, white on black print, pages which are busily trying to emulate an extremely busy small ads section in a newspaper with bits and pieces scattered all over the place. They might give an immediate impression of being absolutely fabulous - but they become eye-achingly difficult to use! So, I am building this site to my taste. I trust you will enjoy it and find it easily usable, and more importantly, for the benefit of these fascinating and beautiful animals, informative and helpful. The site is now complete albeit far from finished. I hope to add more information and pictures as time goes by.